_x000D_PRINTED APPLICATION AND REMOVAL INSTRUCTIONS included in the shipping package. _x000D_1. Reliable Adhesive Layer: Air release adhesive layer for reliable adhesion and removal. _x000D_2. Removability better protected: RuggedWrap better protects the base adhesive and vinyl resins and dramatically reduces the escape of resins and hardening of the wrap, thus aiding in easy removal even over time and in harsh environments. _x000D_You will invent more, let us know! _x000D_1. Consider ordering our application kit to make the install easier and get bettter results. _x000D_2. Measure your vehicle and then order the appropriate number of rolls you’ll need. _x000D_3. If you’d like to order and OEM Color match, drop us a line and we can do it for you.TOUGH! 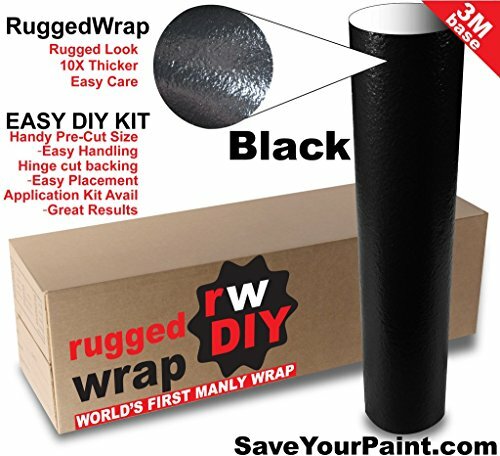 RuggedWrapDIY is Super Tough Vinyl Wrap with a unique Rugged Look — in an easy to apply roll size. 10X thicker than standard vinyl and yet perfectly compliant to rounded surfaces and will return to form perfectly when heated with a heat gun. RuggedWrap can be applied to portions of panels or over the entire vehicle. DOUBLE UP! You can cut and apply smaller sections of RuggedWrap to High Impact body areas and then overlay with RuggedWrap on the larger area for extreme protection. 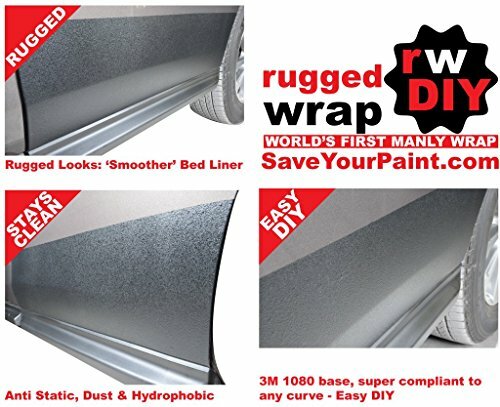 PROTECTIVE & EASY TO WASH: RuggedWrapDIY is 10X thicker than standard vinyl wraps and protects paint from rock chips and scratches. It has a tough look with a surface that is massively self healing, yet is smooth enough to be easy to wash.
ANY COLOR IS POSSIBLE: The Universe of Colors is open to you! RuggedWrap can be made in ANY color. You can match your car color for protective sections or other parts in any other color. Contact us custom colors or sizes. 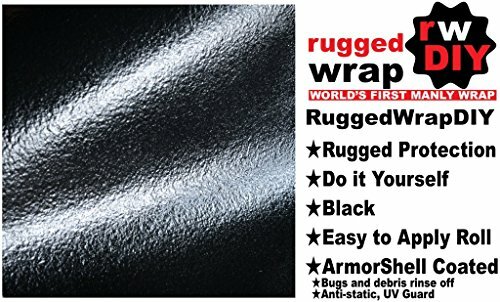 TOP COAT ANTI-STATIC AND HYDROPHOBIC (option): RuggedWrapDIY can be coated with ArmorShell, our proprietary flexible ceramic topcoat. Bugs and road debris rinse off with water and the surface is much less prone to static dust collection than a standard vinyl wrap. Other options: You can use what you have on hand such as your favorite liquid wax or 303 Protection, Armorall etc. 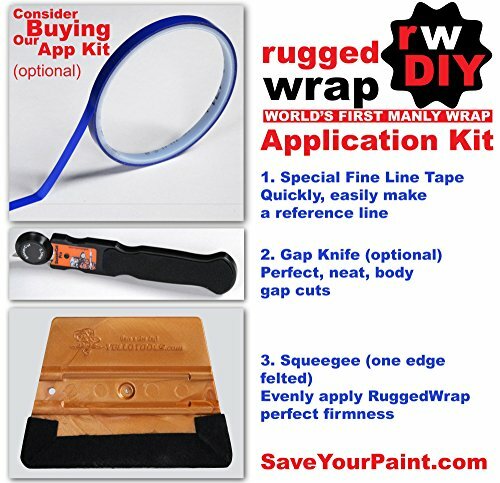 Related Posts "RuggedWrapDIY – Track Day, Racing & Offroad Paint Protection Black – Go4CarZ Store"